Walmart Shopping Trip & the Straw that Broke this Couponer’s Back! Went to Walmart & Sabor Latino today to Shop use some Coupons for Sale Products. Every time I have attempted to use the Cascade $1/1 One Cascade Product Coupon (NO Size Restriction Listed on Coupon) I am told that it cannot be used on the Trial Size packs. I always kindly explain to the Cashier that since there is no exclusion of product size on the Coupon it can be used, and every time they go through with the transaction after I explain this. However the transaction is not completed with the pleasant attitude that I was first greeted with. Well today was no different ~ as soon as the Cashier saw my Cascade Packs she gave me a ‘look’ and then proceeded to sift through all of my Coupons to find what she was sure she would find… the $1 Off Cascade Coupons. She proceeded to tell me “You can’t use this Coupon.” so of course I wanted an explanation and asked her “Why not?” she said “This Coupon can’t be used on Travel Packs.” so I did what I normally do and showed her that there was no exclusion on the Coupon. She still insisted that I couldn’t use it and went to talk to her Manager. When she returned she did not speak to me, but instead just scanned the Coupons and after I paid she handed me the Receipt and started the next Transaction. At this point I was upset not only at the lack of Policy Knowledge (both Coupon & Walmart’s Policies) but I was also bothered by how I was treated as soon as Coupons came into the equation. I went to speak with the Front End Manager to explain how frustrating it can be as a NORMAL Coupon Shopper to be treated as if I am doing something Fraudulent just for using Coupons. I also mentioned that it is discouraging to many New Coupon Shoppers to be treated differently for trying to save a few dollars. The Manager seemed concerned when I told him how the attitude of almost all Cashiers changes when Coupons are presented. He insisted that Walmart as a Company is Coupon Friendly (which based on their Wonderful Coupon Policy & Price Matching Policy the are) and he said he would be addressing this issue with all of the Cashiers during the next meeting. I know I can’t change the World for Couponers let alone change how things are done in my own Local Store, but if you are familiar with how Coupons work and the Coupon Policy of the Store you are shopping at. Each & every one of you has a right to stand up for yourself and ask to be treated like every other Cash paying Customer. Please know that I am in no way bashing Walmart, I really love that Store! This Post was intended to motivate you Darlins to know your Coupon Policies & Rules and to stand up for yourself in a Polite Manner if need be. FREE Code worth 7 Swag Bucks! There is an easy Swag Bucks Code posted on their Facebook Page! Click HERE to go to Swag Bucks’ Facebook Page to get the Code. Code will expire at 4:30 PST. 2 FREE Air Wick Scented Oil Warmers! Get 2 FREE Air Wick Scented Oil Warmers at Walmart! Click HERE to print a $2/2 Off Air Wick Products (Excludes Aerosols and Stick Ups) coupon! 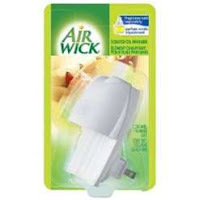 The Air Wick Scented Oil Warmers are $0.99 at Walmart so this Coupon will make 2 of the FREE! Some Walmarts carry these for $0.94 making Both FREE + $0.12 Overage! 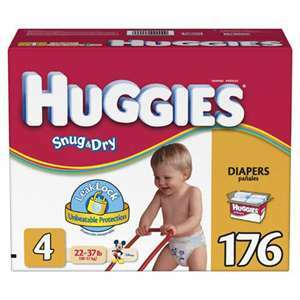 Get a FREE Sample of Huggies Snug & Dry Diapers from Sam’s Club! Click HERE to request you Sample. When you get to the Sam’s Club Page you will see a Large Box towards the top of the Page Advertising Pull Ups & Dial and says “Go Wash Go”… Click on the Little Right Arrow of that Ad to move to the Next Ad which will take you to the Huggies Sample Ad. You do not need a Sam’s Club Membership to get this Sample, just leave that field blank. 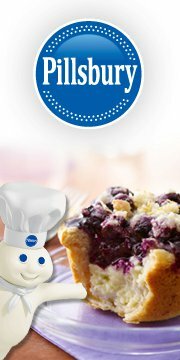 Hurry to request your FREE Breakfast Coupon from Pillsbury! Click HERE to get this Coupon Mailed to you. FREE Origins High Potency Night A Mins Cream! 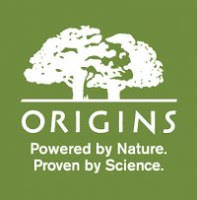 Origins is giving away FREE Samples of their High Potency Night-A-Mins Cream. Click HERE to get this FREEBIE! The offer is on the ‘Night-A-Mins’ Tab on their Facebook Page. This offer is only available to U.S. Residents & the first 30,000 Fans to request it. Thanks I Love Free Things! $40 Credit for e.l.f. Mineral Cosmetics! Tippr has a Deal to get a $40 Credit to use on e.l.f. Mineral Makeup! This Deal shows as $20 for a $40 Credit, but if you’re a New Tippr Member you will get an Automatic $5 Credit for joining making this $40 Credit just $15! *Deal can be found under city Los Angeles, but its for an Online Credit so anybody can purchase it. If $5 Credit doesn’t automatically show up on your Account, Log Out then Log back In. FREE Entree at Macaroni Grill + $5 OFF! Sign up for Romano’s Macaroni Grill newsletter to get a $5 Off Coupon + They will be sending an Email out to all their Newsletter Subscribers tomorrow (9/1) for a FREE Entree!!! Click HERE to Sign Up for their Email Newsletter. FREE Nail Polish + FREE Shipping! FREE NailPolish + FREE Shipping!!! 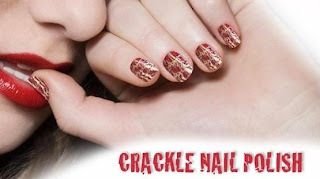 Note: You are getting a FREE Voucher from SaveMore using your FREE $10 Credit, you will need to redeem your Voucher Code on Fabulous Nails Website once the Deal has ended on SaveMore. SaveMore does not ship products to you, its your responsibility to redeem your Voucher Code from the actual Company featured in the Deal. Deal shows as $7.50 for 1 NailPolish, but New SaveMore Members get an Automatic $10 Credit making this Deal FREE + $2.50 Remaining Credit to use on another Fabulous Deal on SaveMore! 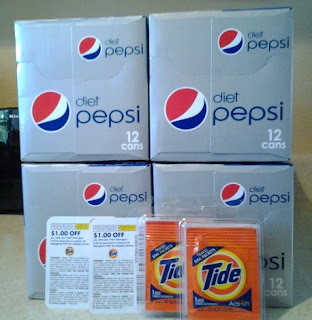 Target Shopping ~ 4 Pepsi 12 Packs & 2 Tide Packs = $3 Total + High Value Coupons! 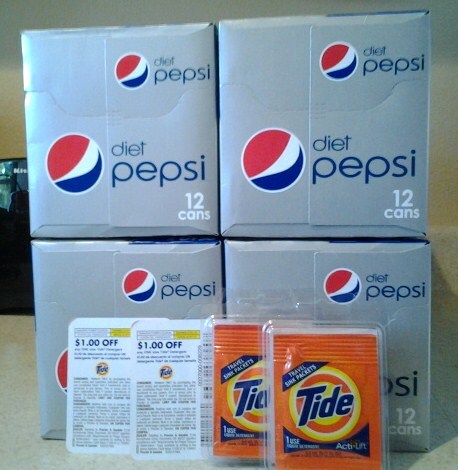 I read that Pepsi was 4/$11 this Week at Target, but my Local Target had Pepsi 4/$10! (4) Diet Pepsi 12 Packs $2.50 each – (4) $1/1 Diet Pepsi 12 Pack Target Store Coupons – (4) $0.75/1 Diet Pepsi SP Coupon = $0.75 each!!! **BONUS** The Tide Sink Wash Detergent Packs had $1/1 ANY Tide Detergent Coupons inside! 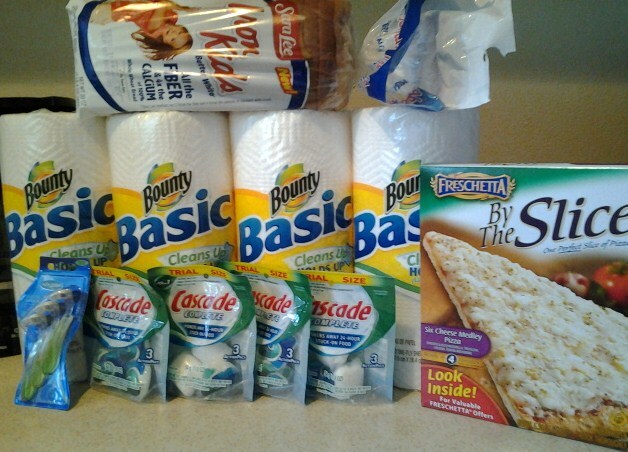 You can see all the other Target Store Coupon Stacking Match Ups HERE.